By any measure Micron Technology Inc., Crucial Technology's parent company, is a semiconductor giant. As one of the top five semiconductor manufacturers in the world, with an estimated $16bn revenue in 2014, it's no surprise that they're intimately involved with cutting edge research and development in the industry. A focus on DRAM and NAND has meant that their products reside in countless computing systems around the world as both RAM and flash storage, whilst as a leader in new memory technologies they're advancing the performance frontier through GDDR5X and, in cooperation with Intel via their IM Flash Technologies joint venture, 3D XPoint non-volatile memory. Micron's consumer DRAM and SSDs are marketed and sold under the Crucial brand. Perhaps not quite as flashy as other brands on the market, they’ve been providing consumers with system memory for decades and Solid State Drives for a considerable time too. 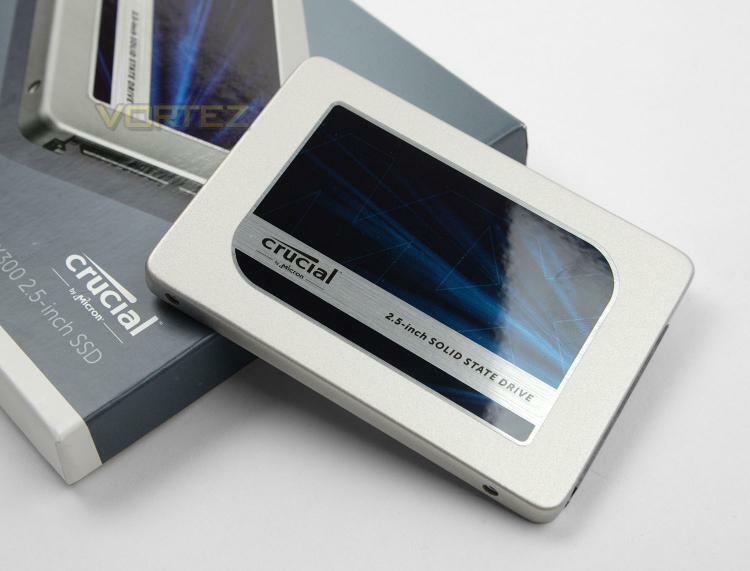 Back when SSDs were first entering the consumer market at the enthusiast point Crucial were one of the few to avoid the almost ubiquitous Sandforce storage controller, instead opting for Marvell with a custom firmware. They’ve remained in the market ever since, offering performance and budget options for 2.5” SATA and mSATA form factors. Today sees the official launch of their newest SSD in the MX series, the Limited Edition MX300 750GB. As the debut outing for Micron’s own 3D TLC NAND, the MX300 offers high-performance SATA III storage with high write durability, ensuring that performance-oriented consumer applications are catered to in a manner which doesn’t break the literal or proverbial bank. At just £165 in the UK it's aggressively priced to offer great value presupposing the performance holds up. Whilst the 750GB model is to be released in relatively limited quantity, news coming out of Computex2016 indicated that 250GB, 500GB and 1TB will follow in Q3 2016. A huge 2TB capacity model could see availability in the final quarter of the year sating the needs of gamers with huge Steam libraries and no patience for uninstalling or relocating old games.